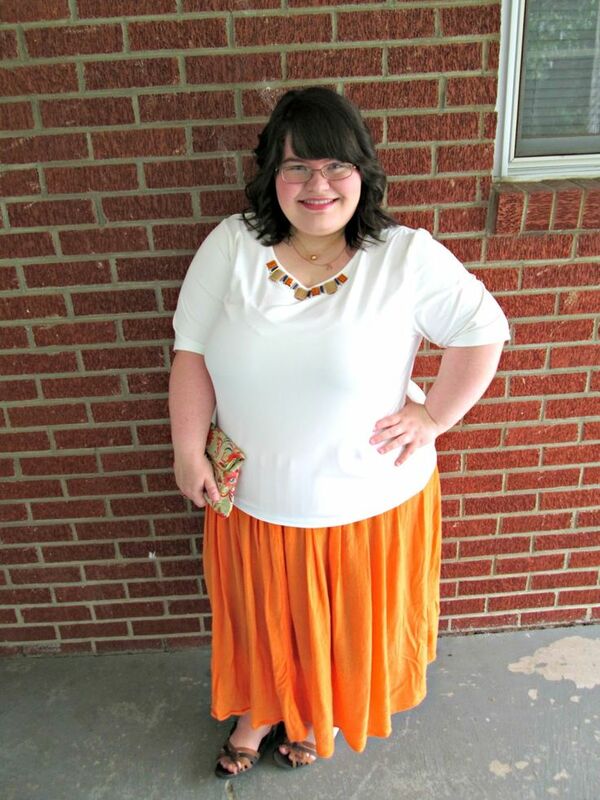 I wore this outfit to Bible Study tonight and I was definitely comfortable! 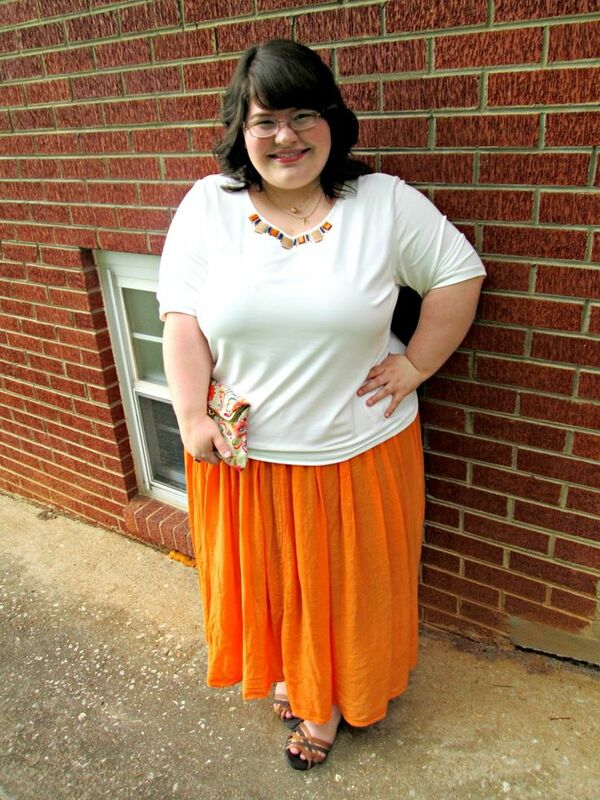 I'm loving the bright orange skirt for the summer time. 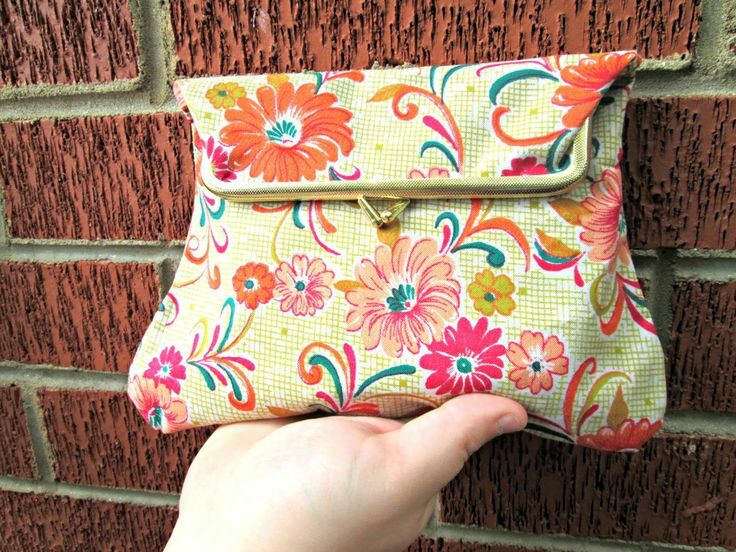 I cannot get over this adorable, vintage clutch! It's so cute! I'm very into vintage things. It might not be everyone's cup of tea, but I sure am diggin' it. My mom's aunt is getting rid of a lot of things and this was one of them. It was still in the plastic and everything, so I was super happy! 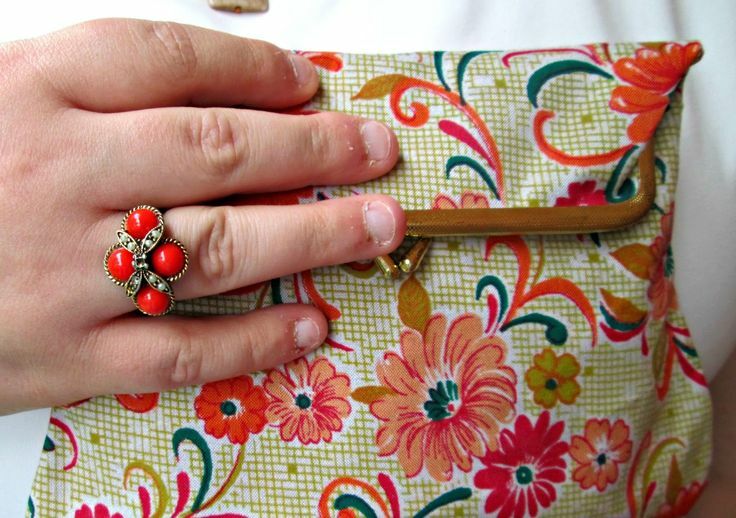 I let Liz pick out what she wanted first, but of course she didn't choose the vintage clutches. You wanna know a secret? The "vintage clutch" that I'm talking about was actually labeled as a coin purse on the package. I love using things for purposes that they aren't really used for. Points for creativity! 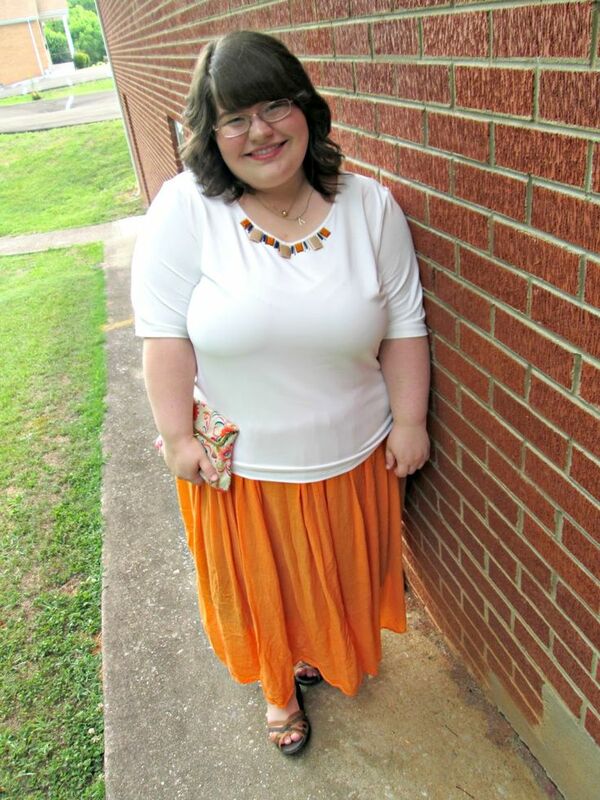 This whole outfit was actually styled around this gorgeous "clutch." I couldn't wait to wear it, so I looked through my closet trying to match colors to it. 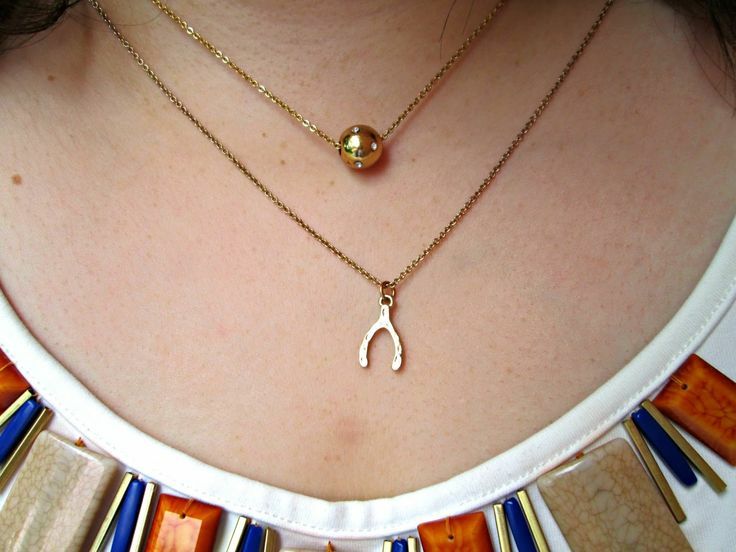 It's so fun to pick out a statement piece and work around it. Are you into vintage things? Let me know!